MBA in Bulgaria, why not? In the last few years, MBA programmes are getting more and more popular in Bulgaria and worldwide, not only as a way of qualification, but also as a companies’ requirement to climb up into a top management position. HERE: Check your chances for yearly scholarship! For many years now, as a concealed rule in the international market, the applicants with gained MBA programme are not only preferable, but they also occupy senior management positions. This turns the MBA programme into a synonymous of success, career growth and high qualification. Undoubtedly more and more Bulgarian managers are considering the options on obtaining MBA program. However as a major obstacle remains the fact that most of the quality programs are offered abroad at a high cost, with a curricula that cannot fit to the needs of the employed students. Another important fact is also the cost for travelling and living in another country. In contrast to the facts above, the suggested MBA programmes in Bulgaria have become the best alternative for those who are interested in obtaining a recognized worldwide MBA degree at good and affordable conditions. As a result of the increased interest, “Varna University of Management” (VUM) along with “Cardiff Metropolitan University” in UK managed to create a double degree joint MBA programme. This gives the opportunity to all students to receive at the end of their education a Bulgarian and British degree, without the need to travel and stay abroad. One of the most prestigious and globally recognized ratings – Eduniversal ranks the programme on 7th place in Eastern Europe. The programme itself is entirely taught in English and the training is mostly focused on the strong practical side of the real business and its case studies. Classes are scheduled on Thursday and Friday evenings and on Saturdays. This allows the participants to carry out with their professional duties while studying. 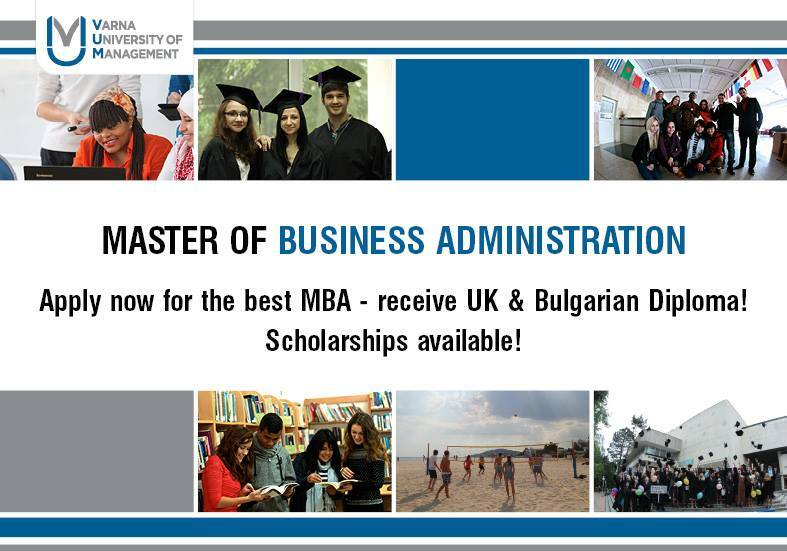 In addition to the affordable tuition fee, lower living expense and the possibility for gaining a scholarship, VUM MBA programme becomes a preferable one for many Bulgarian and foreign students, that are looking for a prestigious British degree and fast career development. This makes Bulgaria not only a delicious investment bite, a favourable destination to start up a company or to an outsource one, but also a key educational destination, that attracts more and more foreign students willing to pay a reasonable price for its globally recognized education.